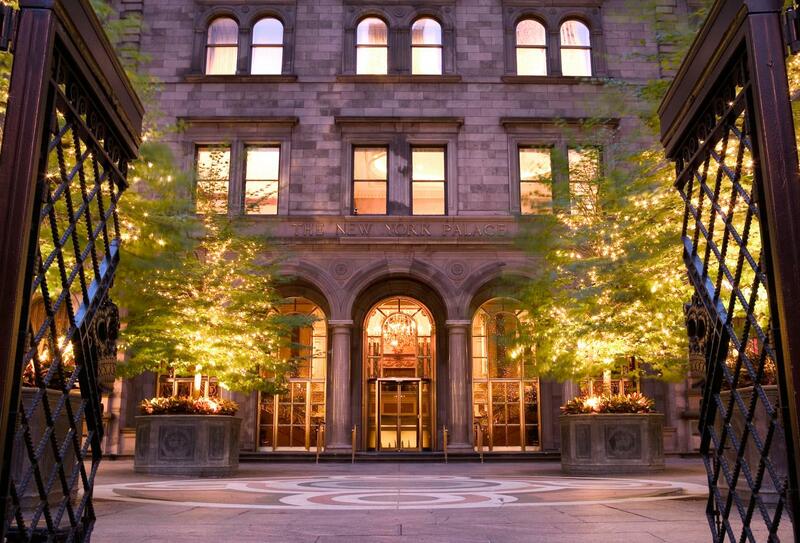 Lotte New York Palace is a legendary hotel located in the heart of midtown Manhattan, close to St Patricks Cathedral, the Rockefeller Centre and just steps from Fifth Avenue. This is a 55-storey tower with 899 rooms and suites with varying views over the city including direct views of St Patricks. 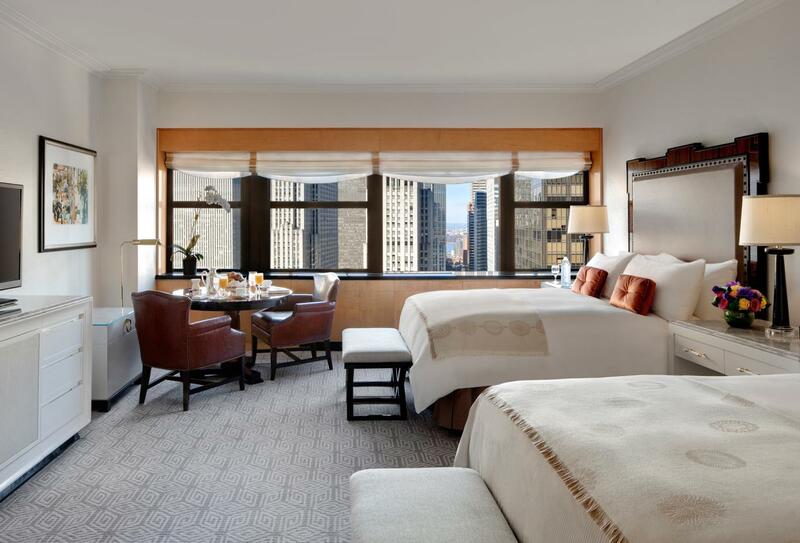 With a spa and fitness centre on site, this is an ideal choice for a New York City break. 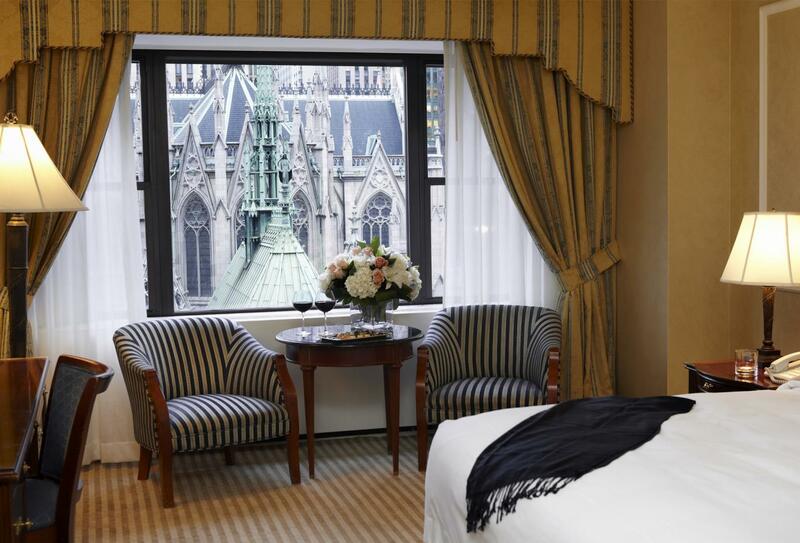 This room overlooks the iconic St. Patrick’s Cathedral. 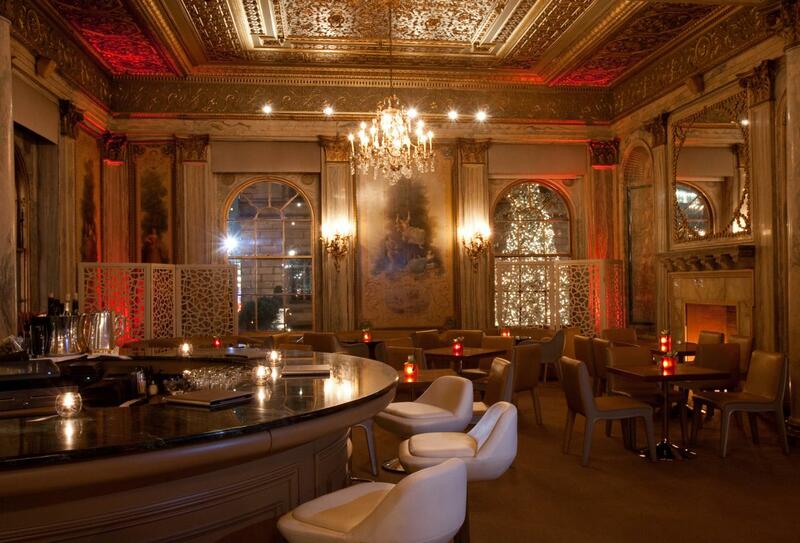 It has a marble bathroom and seating area. 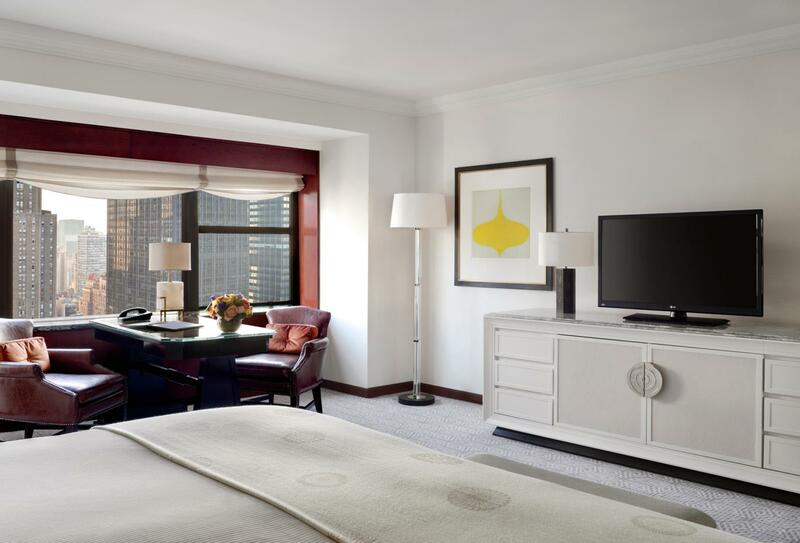 This suite features a separate bedroom and living room, a marble bathroom with TV and a powder room. 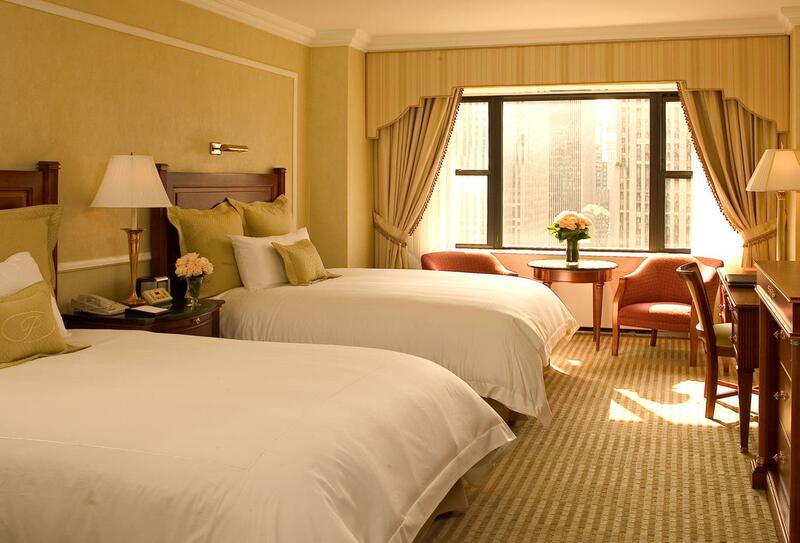 This room have a marble bathroom, separate seating area and either two double beds or a king-size bed. 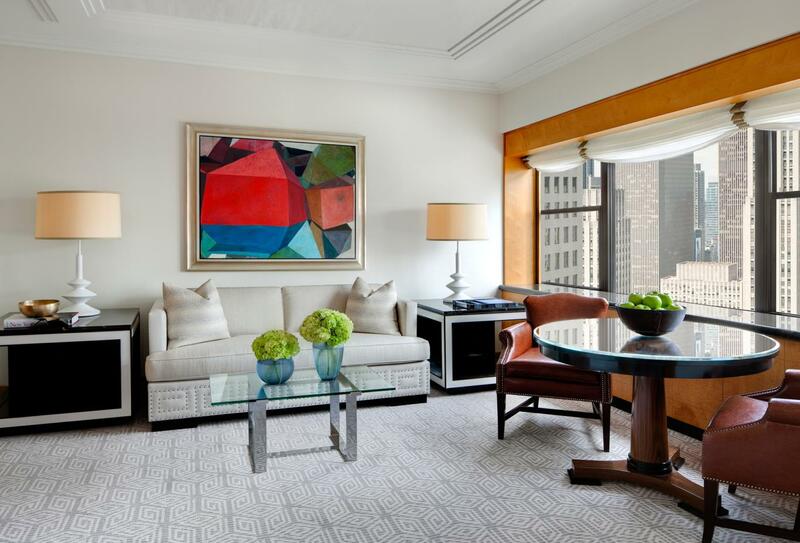 This room is on floor 41 and above, and therefore, offers skyline views. It has its own express elevator. Villard restaurant is a luxury dining experience serving a full a la carte breakfast and brunch menu. 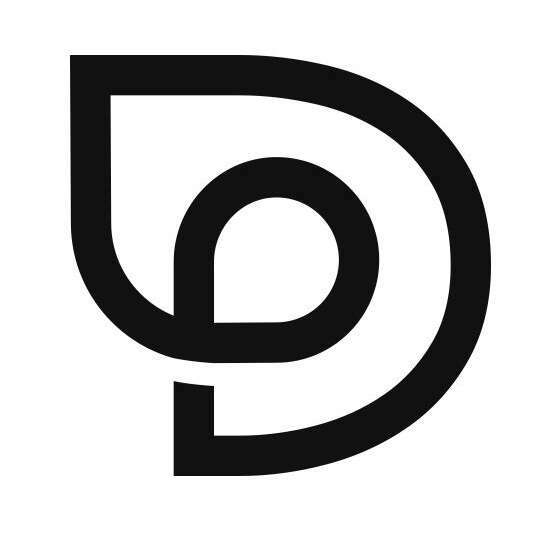 Open Monday to Friday for breakfast 06:00 – 11:30 and 7:00 – 12:00 at the weekends. The outdoor courtyard is open 13:00 – 21:00. The Courtyard serves cocktails and has live entertainment each night. Pomme Palais is a New York bakery serving macaroons, house-made croissants, fruit tarts, pastries plus other breakfast and lunch items. 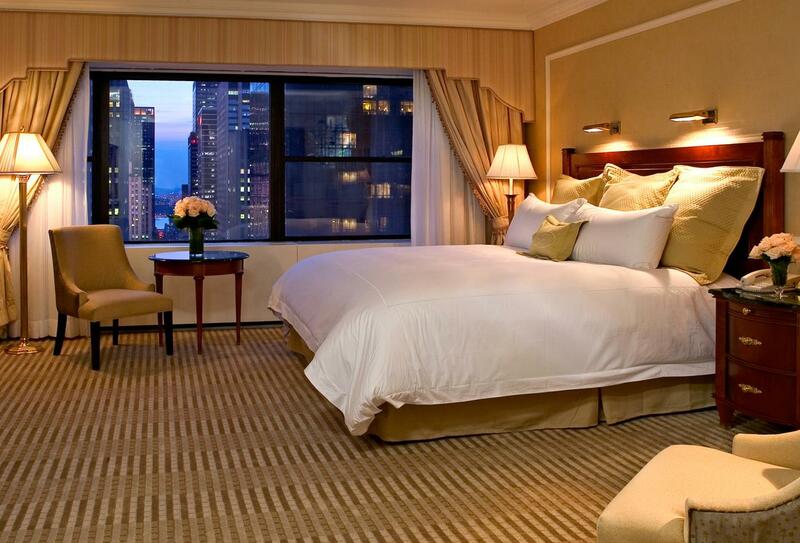 Lotte New York Palace is in Midtown Manhattan in New York City and La Guardia Airport is 5.5 miles from the hotel.